Last January, Jordan Brand announced that they will be releasing an Air Jordan Retro “Olympic” edition, which generated buzz in the shoe market. 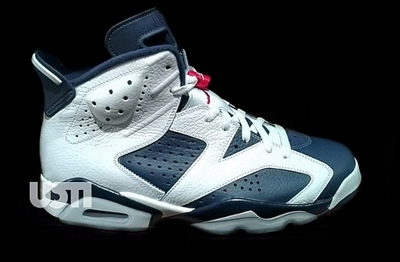 This time, Jordan Brand has now confirmed the release date of the shoe, which will be one of their treats before the 2012 London Olympics. The upper part of the silhouette is made up with white tumbled leather with midnight navy coating and enhanced with varsity red touches on tongue branding and translucent outsole. Men’s sizes will be available for $160 so make sure that you’ll grab one immediate because this is expected to be a hot item in July! Air Jordan 4 GS “Cement” Release Date Announced! Air Jordan V.1 Hazelnut Available Soon!